They grumble about a stolen bicycle, apologize to the neighbours and search after the great love: Berliners communicate with each other through odd-looking notices. The blogger Joab Nist collects these notices, publishes them in the Internet and shows how bizarre and varied Berlin can be. Felix takes the tram through the centre of Berlin, sees a girl called Johanna. He talks to her, they chat shortly until one of them has to get off. A chance encounter such as occurs every day in Berlin. But what Johanna doesn’t know: Felix had to screw up all his courage to talk to her. This at any rate is what he writes on a white sheet of paper, which he copies and hangs up in the Prenzlauer Berg district, hoping to find Johanna again. “I’d be the happiest Felix in all of Prenzlberg if we meet again”, he writes. From then on Nist walked through Berlin and collected such notices, attached to traffic lights, lampposts, put up in doorways, at the university or in bars. They are notices with which Berliners proclaim their love for someone, curse the thief who stole their bicycle, complain to their neighbours and look for a new flat. Usually the messages are funny and quirky, sometimes desperate or angry. Passers-by or neighbours leave a commentary on some of them. Gradually the idea matured in his mind to share his amusement with others. In 2010 he designed the blog “Notes of Berlin” and there published daily various notice messages. “Most are quirky, but they needn’t be funny to get into the blog. For me it’s about reflecting the diversity of the city, showing the individual fates of Berliners and capturing the city’s mood”. Nist explains. Nist soon issued a call to the users of his blog to send him their own findings. The page grew swiftly into a joint project and became a comprehensive “Notices Archive”. Publishers got wind of the project, and in 2012 the first paperback appeared with the best “Notes of Berlin”. 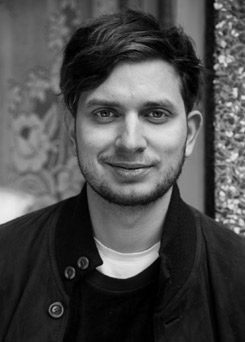 Cultural Studies student Nist devoted his master’s thesis at the Freie Universität Berlin to the notices, while the Facebook page for his blog grew steadily – more than 100,000 fans at the end of December 2015. In the meantime Nist has published three books and a calendar. Out of his hobby he has made a profession, from which he can now live. On the basis of his collection we can read off not only the character of the city and its inhabitants – loud and angry, idealistic, sometimes naive and romantic, but always direct – but also the changes that Berlin has undergone. “When I began, there were lots of anti-Schwabian submissions”, says Nist. “The newcomers from southern Germany, who conquered Prenzlauer Berg, were often blamed for the closing of clubs and the springing up of organic food shops.” Today gentrification and rising rents inflame the passions. “There are many more and more creative flat-wanted notices, which often offer a reward for successful brokering. That would have been unthinkable five years ago”, says Nist. 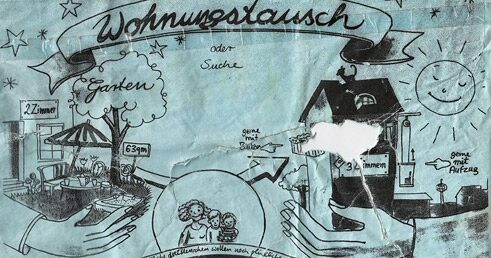 Whether Felix from Prenzlauer Berg ever found his Johanna again, Nist doesn’t know. But his own life has been given a very decisive turn by Felix’s notice.